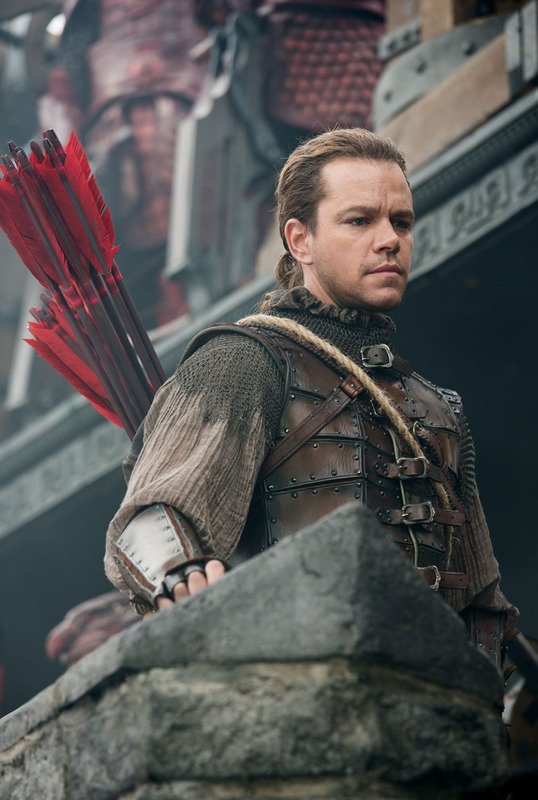 Despite familiar tropes, The Great Wall is a fun popcorn flick that should entertain monster movie fans with its unique Chinese setting and epic battles. On a mission to China to find the legendary “black powder,” mercenary warrior William and his fellow travelers are attacked by bandits. But the bandits aren’t the worst threat in the Chinese desert. At night, William is attacked by a mysterious creature which, through sheer luck, he is able to kill. As William and his friend Tovar are further pursued by the bandits, they come across and unexpected obstacle – the Great Wall. The Wall is manned by an incredible army of men and women with extraordinary weaponry and they are preparing for a massive battle. William and Tovar are taken prisoner, but they soon discover that is the least of their worries as they find out what the Chinese warriors are preparing to fight – an entire horde of the mysterious creatures. The Great Wall is rated PG-13 for sequences of fantasy action violence. If you like monster movies, The Great Wall is a solid entry into the genre. It has the monster feel of Pitch Black combined with the epic battles of The Lord of the Rings and a healthy dose of Chinese culture thrown in for good measure. It’s an interesting mix that’s fairly entertaining for fans of the genre. One thing that makes The Great Wall stand out is the Chinese setting. From the opening scene, we’re treated to beautiful desert landscapes, which I don’t think I’ve seen on the big screen before. As the bandits chase our heroes through beautiful canyons, the unusual landscape immediately tells the audience that our heroes are travelers in a strange land. The story then transitions to the more familiar Great Wall of China, but there’s a twist. We see an army in colorful armor. There are bizarre and massive machines of war. And then you have acrobatic warriors that look like they’ve come straight from Cirque du Soleil to do battle with the monsters. It’s a unique twist to the CGI battles we’ve seen so often in the past and it works. The creatures themselves are kind of generic CGI monsters, but they’re used well in the battles. They communicate in an unusual manner. They cooperate and have some degree of intelligence to battle the Chinese. And when they do fight one on one with William, Lin Mae, and the others, they’re quite intimidating. While I wish they looked more like dragons or other characters from Chinese legend, they’re still fairly cool. I was worried about Matt Damon as William. I was expecting yet another American actor doing a bad accent like Kevin Costner as Robin Hood. Yet he managed to pull off the role. He speaks with a kind of Irish accent, which is odd at first but ultimately works better than a Bostonian accent. He’s also taken heat for being the “Great White Hope” in the film saving the Chinese, but it doesn’t really come across that way in the film. William and the Chinese work side by side to fight the monsters. If anything, I think the Chinese will like the favorable depiction of their country and ideals in the film. Damon is well paired with Pedro Pascal as Tovar. They have funny and witty banter between each other. It works well and you like Tovar even when he’s being despicable. Willem Dafoe is not used to full effect as Ballard, but he’s good in the little screentime he has. I saw this film in 3D. While there were a lot of monsters jumping out of the screen and weapons flying at the audience, I could go either way with the effects. 3D or 2D would seem equally entertaining to me. As fun as The Great Wall is, it does have problems. First off, it’s predictable. Before the movie started, I told my son exactly what beats I expected the story to follow and what the plot would be. I was spot on. It’s kind of the fast food of moviemaking. The quality isn’t high, but you know exactly what you’re getting and it can be a guilty pleasure. So if you’re looking for something groundbreaking, this isn’t it. Along that theme, it follows a lot of familiar tropes. The most egregious is the old “Decapitated Army” trope. Star Wars: The Phantom Menace did this. Avengers did this. The list goes on and on. It was a little disappointing they resorted to this overused plot device, but they did. Finally, The Great Wall is a bit repetitive. It starts out quite well with lots of fights and Chinese warriors hacking and slashing their way through swarming monsters. But by the first hour of that, it starts to get old. Fortunately, the movie is only 103 minutes long, so it doesn’t wear out its welcome too badly. My 12-year-old son is a big monster movie fan and enjoyed The Great Wall thoroughly. Even though it used a lot of familiar tropes, themes, etc, it was all new to him. And though it is PG-13, it is fairly kid friendly. 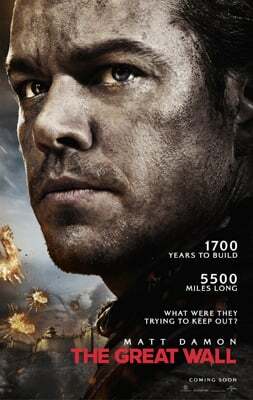 I think if you have 10-year olds you need to entertain or you just want a fun popcorn flick, The Great Wall is worth seeing on the big screen.